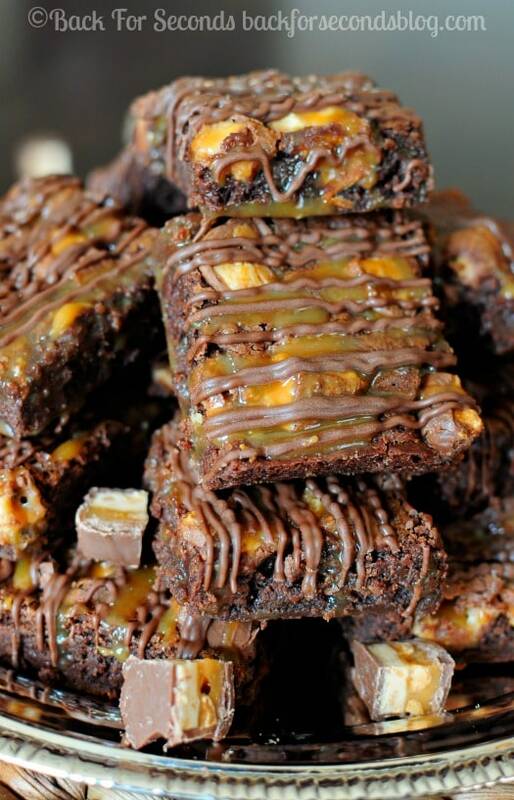 These Snickers Brownies are rich and fudgy and they’re just dripping with caramel and chocolate! 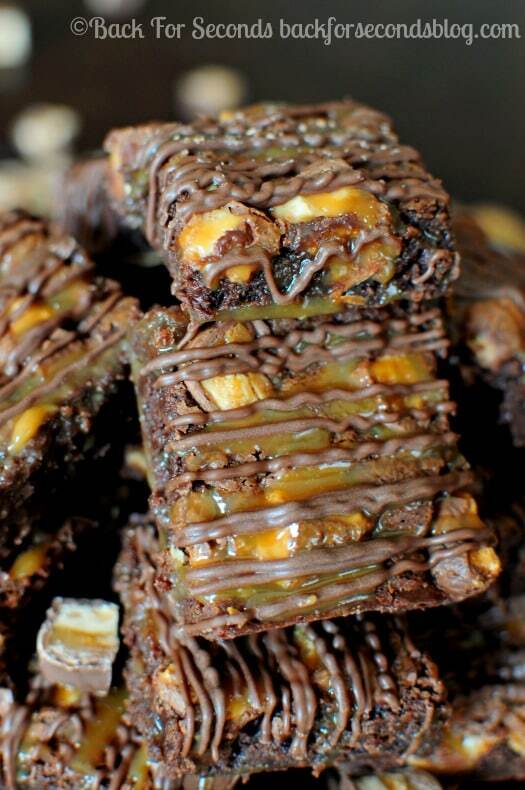 I’m telling you right now, these Snickers Brownies need to be added to your “must make” list! I mean, there’s no good reason you shouldn’t be eating one by tonight. They are insanely delicious! Also, they are really really easy to make! 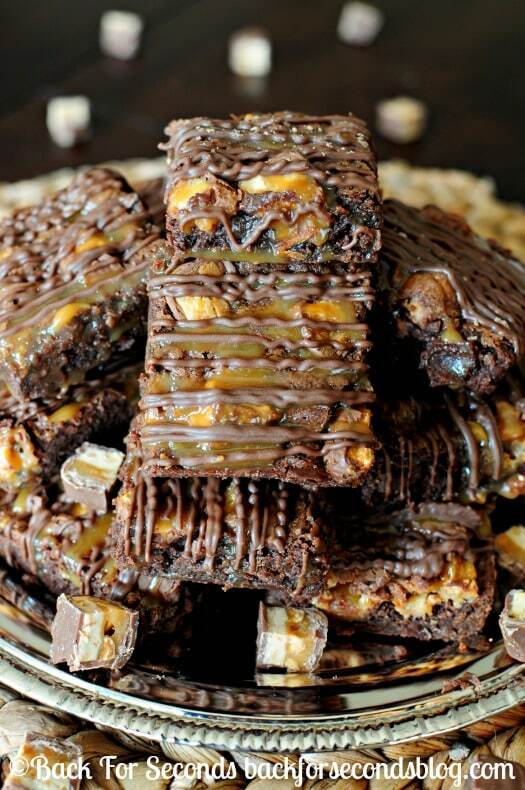 I have a favorite brownie recipe that I have developed and tweaked and improved over the years, and it is pretty close to perfect, I must say. Usually I like to eat my brownies plain. 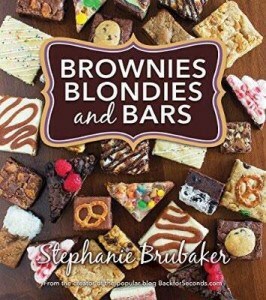 I mean if the brownie is rich and moist and fudgy, it really doesn’t need anything fancy added to it. And that idea wouldn’t leave me alone until I did something about it. Sometimes I have really good ideas. This was one of them. 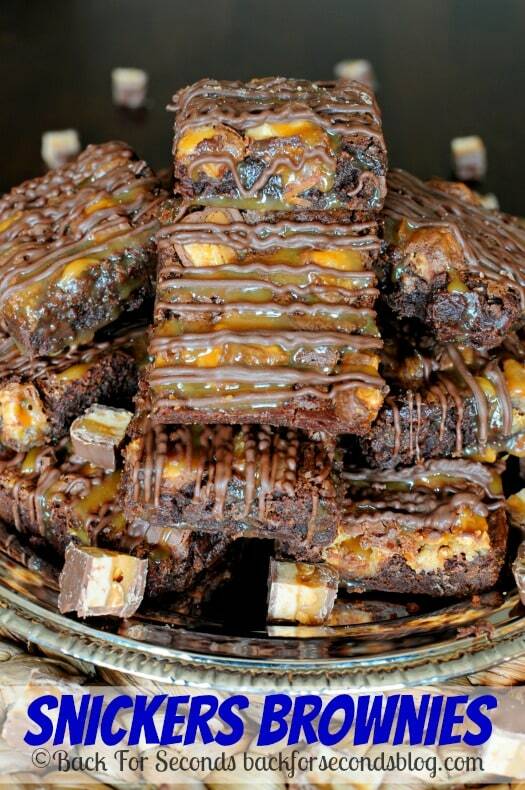 Fudgy chocolate brownies loaded with chunks of snickers and drizzled generously with caramel and chocolate…. yeah, these were a very, very good idea. What a beautiful sweet treat! Craving a bite now!